Little, Brown Books for Young Readers, 9780316197984, 416pp. Among them are Reese and her debate team partner and longtime crush David, who are in Arizona when the disaster occurs. On their drive home to San Francisco, along a stretch of empty highway in the middle of the Nevada night, a bird flies into their headlights. The car flips over. When they wake up in a military hospital, the doctor won't tell them what happened, where they are--or how they've been miraculously healed. Malinda is the former managing editor of AfterEllen.com, and an award-winning journalist for her work in LGBT media. She studied X-Files fan communities when she was receiving her MA in Anthropology, which is where she got the inspiration for Adaptation. She now lives in Northern California with her partner and their dog. Ash was her first novel, and received many accolades and was a finalist for the Lambda Award, Norton Award, and Morris Award among others. "Absolutely compelling...the reader is tugged along, just as confused and naively hopeful as Reese herself. A sharp twist at the climax makes everything that happened before an even more satisfying puzzle to unravel." "Suspenseful, girl-powered, contemporary science fiction full of realistically diverse characters making realistic contemporary use of technology- plus hot kissing-make this book hard to resist." 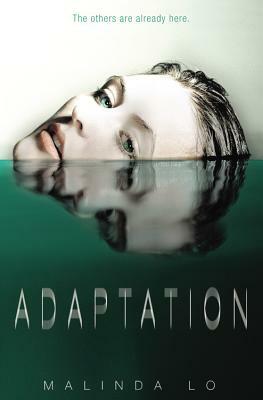 "[Adaptation] would do the X-Files proud..."
"..Slot this on the shelf between Cory Doctorow's Little Brother and The X-Files." "Lo invokes a paranoid X-Files sensibility here, layering conspiracy atop conspiracy and balancing ambitious twists with nuanced relationships that are ultimately as important to the sci-fi plotting as they are to the character development."